We wanted to thank all individuals and families who attended the UPNA Spring Picnic at JJ Finley on Sunday, April 10th. The most rewarding component of this neighborhood gathering, BTW a record attendance, was seeing how many wonderful families we now call “our neighbors”. 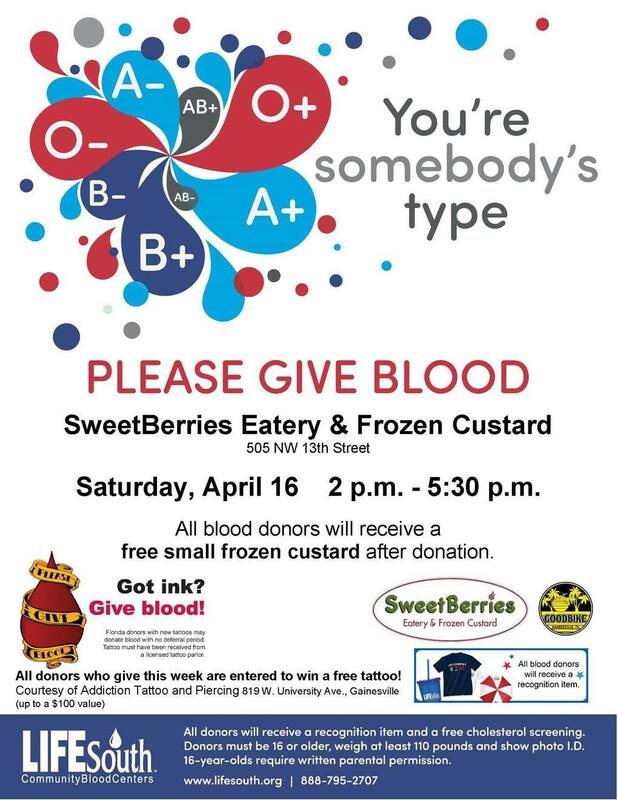 SweetBerries is hosting another blood drive with Good Bike on Saturday, April 16th, 2-5:30p. Please come out and donate. Free small frozen custard among other gifts for those who donate! Annual Picnic Sunday April 10th! Our annual spring neighborhood picnic is coming soon: Sunday, April 10 from 4-7 at J.J. Finley. Come join the fun! Side dishes and desserts are welcome.